Acting Websites – Every actor needs a website - at a reasonable price. from the ground up just for actors. Keep yourself busy Acting – Not coding. 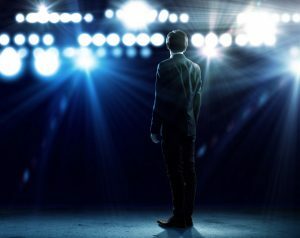 We work with casting directors and agents to learn what THEY want most from an actors website. You get the fruits of our labor. We do all the coding for you, by real humans (who happen to live in NYC), and you get a fantastic website – fast. 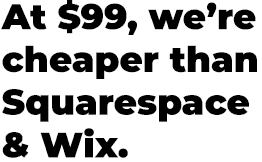 At $99, we’re cheaper than Squarespace & Wix. Starting at $99/year – We beat both Squarespace and Wix starting prices. And guess what? They make YOU do the work of building your own website! That’s crazy. Would you go to a restaurant to cook your own food? – Save yourself days (or weeks) of tearing your hair out, we’ll do all the heavy lifting for you. 1 – Send us your stuff. Whether you have one headshot, or enough photos to fill a gallery, we’ll put them on your site for you. Send your resume (in PDF format) and we’ll put it on your new site. Change it later at ANY time (easily, in just 2 clicks)! Got videos or voiceover reels? We can create pages just for them! 2 – Choose from a few options. Do you want one big picture on your home page? Or three in a row? How about colors? – On the purchase page you’ll be asked a few initial questions about how you want your site to look. Don’t worry, you can change anything later with our super-simple panel! Now we go to work for you. Within days you’ll be able to send Casting Directors, Agents, Managers and more to your shiny new Acting Website. Isn’t that exciting? See all the great options you have. Your site WILL GROW WITH YOU. As you update your resume, add more photos, upload videos… your site will expand to fit! Oh wait… Did we mention the Money Back Guarantee? Buying a website can be scary. We make it easier. Purchase the website, we’ll set it up. We’re so sure that you’ll be happy, that we’re offering your money back if you don’t like it. Who else is offering that? No more excuses. Get your Acting Website now!